Though I am already missing summer, we are enjoying the beautiful autumn weather and the changes to the landscape that come with it. This past week, we took our dogs for a long hike to New Glarus Woods State Park, which is about a 45 minute drive southwest of Madison. The park shares its name with the nearby small town of New Glarus (aka: America’s “Little Switzerland”). We were there while the town was celebrating “Oktoberfest,” and the place was jumping with activity. The whole center of town was basically turned into a giant beer garden. And that may be because some of the best beer made in Wisconsin (in my humble opinion) is made in New Glarus. The demand for beer from the New Glarus Brewing Company had become so great that they recently opened their new brewery to allow for greater production. Some of my favorites are Fat Squirrel, Spotted Cow, Moon Man, and Totally Naked. So while in New Glarus, we bought some Wisconsin beer and some Wisconsin cheese and made what you see below. A very Wisconsin soup! In a large pot, melt the butter over medium heat. 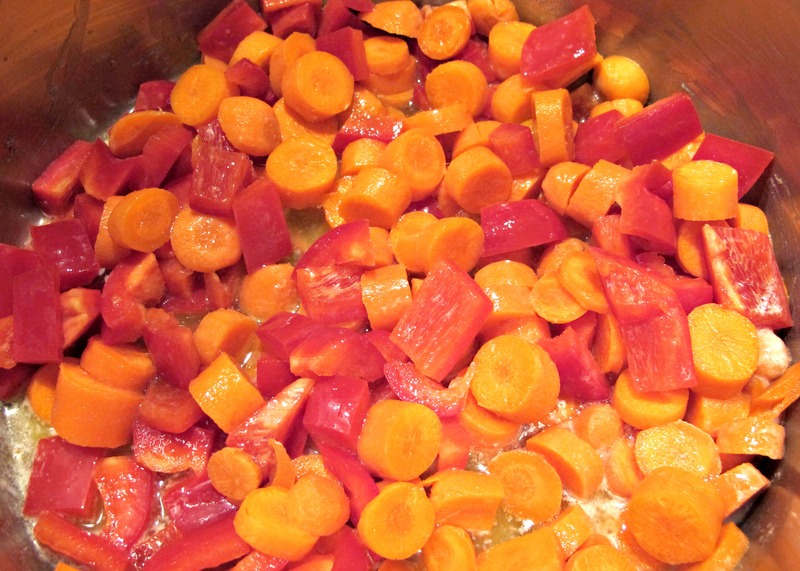 Add the carrots, peppers and ½ teaspoon of salt and cook, stirring until the vegetables are soft, about 5 minutes. Add the flour and cook, stirring, until well incorporated, about 5 minutes more. 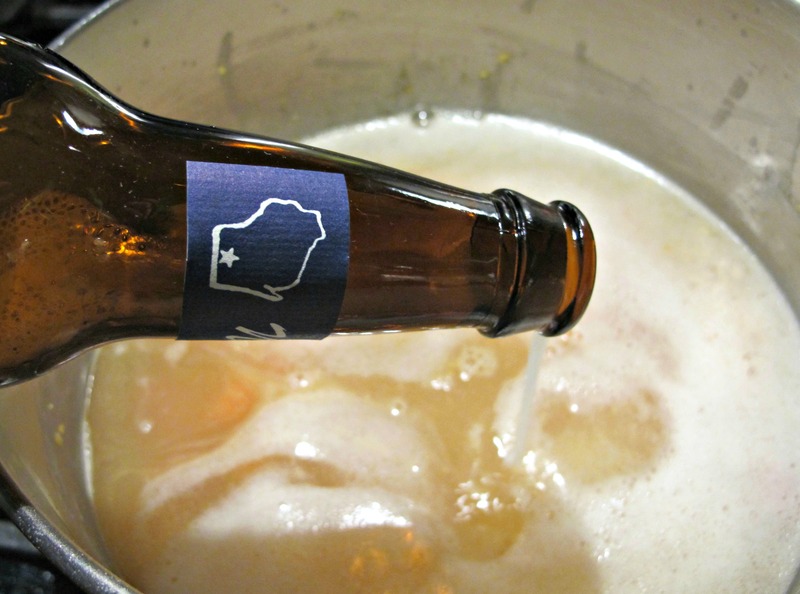 Add the stock, beer and cream or half-and-half and cook at a very low simmer over medium-low heat for 15-20 minutes. Whisk often. 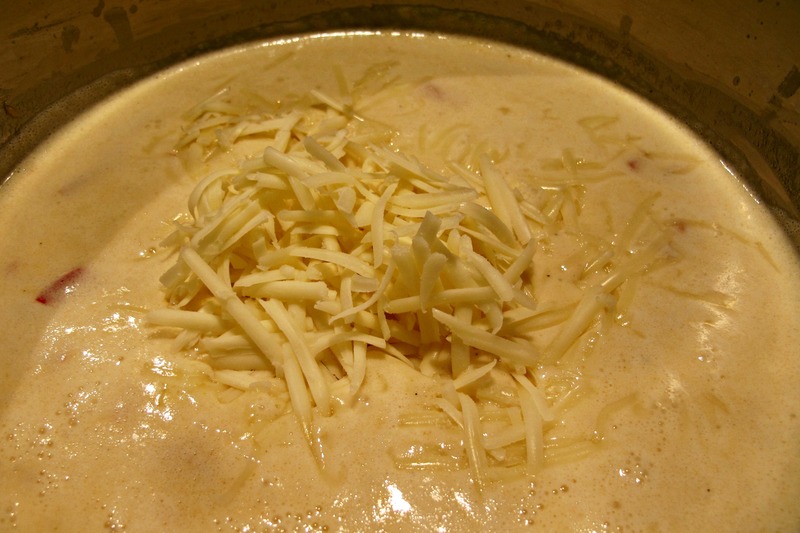 Add the cheese to the soup a handful at a time, whisking each time until smooth. Add the Worcestershire sauce, hot sauce, ½ teaspoon pepper, the nutmeg, mustard, and lemon juice and stir to combine. 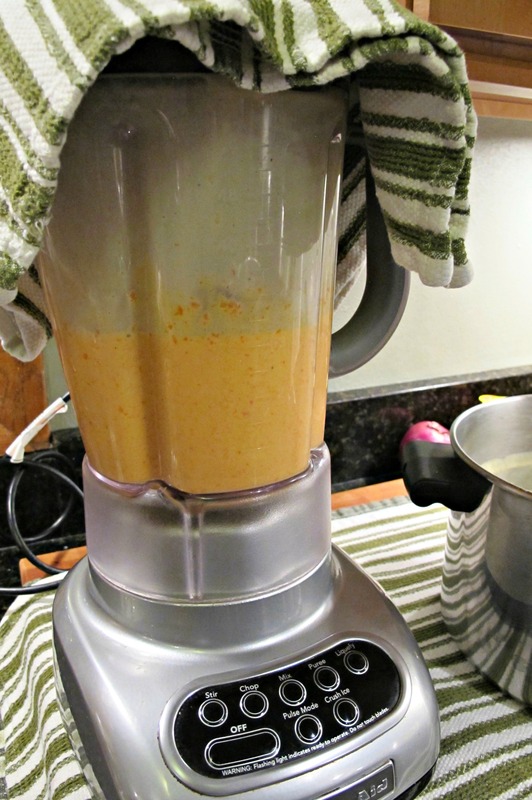 Puree the soup, in batches, in a blender until very smooth or use an immersion blender. Adjust salt and pepper, to your taste. 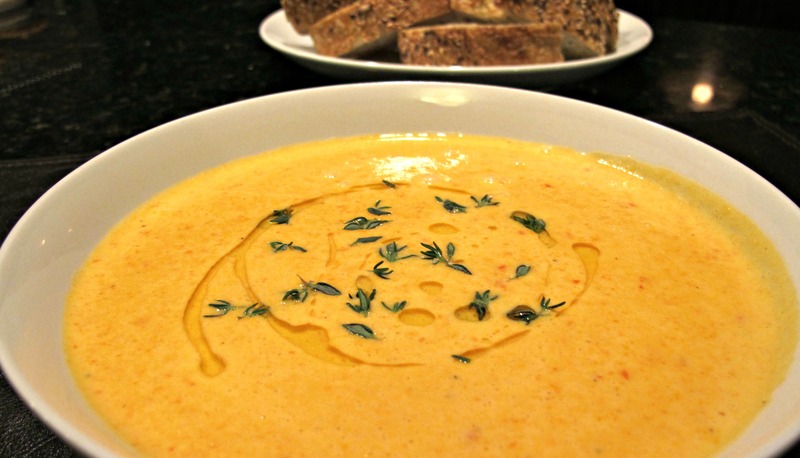 Pour the soup into bowls and swirl some mustard oil over the soup and sprinkle with fresh thyme leaves. Enjoy! 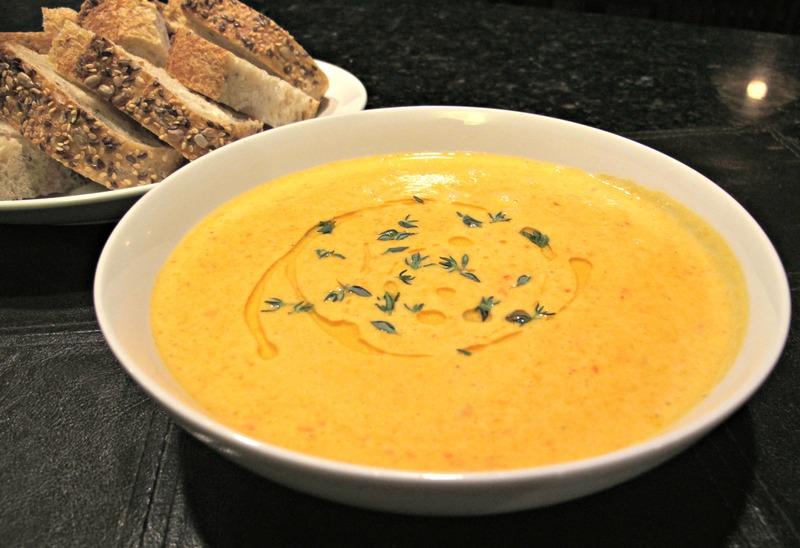 This soup pairs well with a simple green salad and thick slices of fresh, multi-grain bread. Note: This recipe comes from The New Midwestern Table by Amy Thielen, though I changed it a bit to add more vegetables to the soup and used vegetable stock to make the recipe vegetarian. Also, if you’d like to know more about New Glarus, here are a few links you can check out. I must have missed this soup when you posted! I love the names of that beer although I’m not sure if I’ve seen it in Minnesota yet…I’ll have to keep my eye out.